65 Cute Sayings for Valentines Day - C.R.A.F.T. Happy February! We are officially two weeks out until Valentine’s Day! 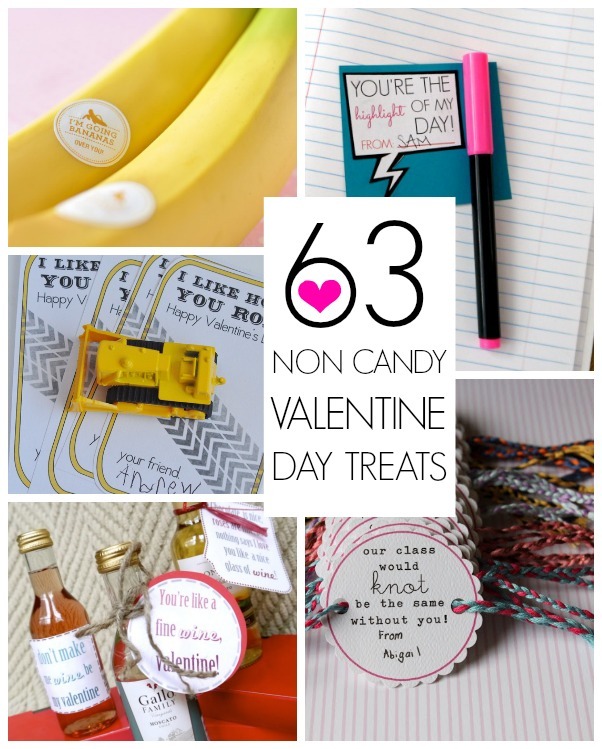 Today I rounded up 65 non candy Valentines day sayings paired with small treats that are perfect for the classroom! I even have a few fun ones for co-workers and neighbors on the list. (Scroll down to the adult Valentine section.) The best part? Each non candy treat idea comes with a free printable Valentine card! Just click through to the original source to download and print the free Valentine card. We’ve got everything from Hot Wheels to wine! There is something for everyone on this list. 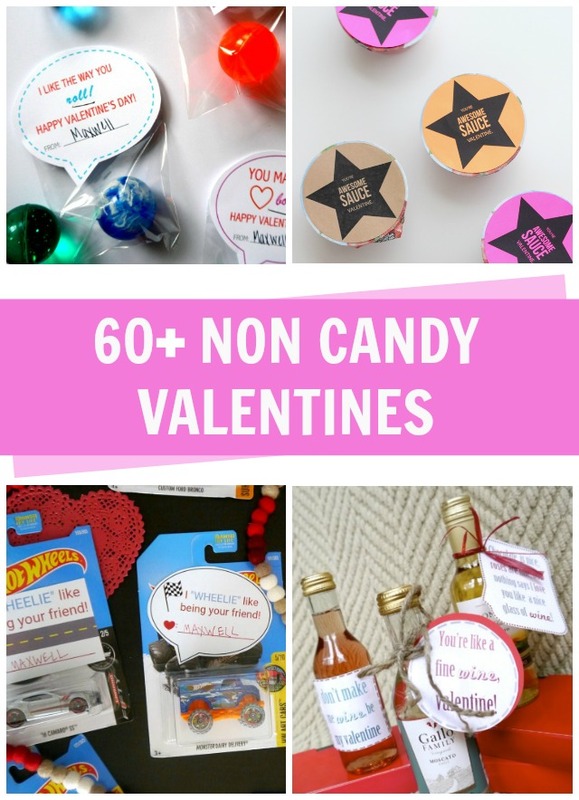 If you need more Valentine ideas, not to worry… I’ve got 100+ more clever Valentine Day sayings, these ones have lots of candy related ideas! Super cute! Gotta get rollin’ on those valentines day crafts! I just did one for my son that says “Have a SUPER Valentine’s Day!” We are pairing it with a superhero mask I got at a party store. Too cute! Amazing list! Thanks for putting it all together – seriously! Here’s one more addition that uses bottled water. Enjoy! What a fun idea!!!! Thanks for sharing 🙂 I pinned it! great round up! I’m a fan of the healthier versions of valentines. I made a similar Cutie valentine last year – http://diywithgk.blogspot.com/2013/02/youre-cutie-easy-healthy-valentines.html. Pinned this round up! The bubbles one is not linked to the right page.